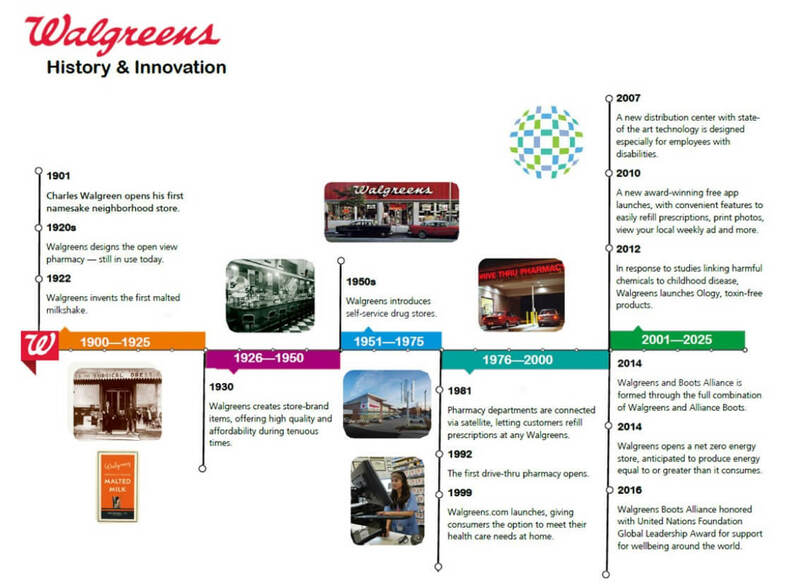 Walgreens has a proud history of innovation, starting in 1901 when Charles R. Walgreen Sr. first opened our doors with a pioneering focus on customer service and an array of product offerings unmatched by any other drugstore. Originally just a 50-foot by 20-foot location, Walgreens quickly became the pharmacy all others were measured by and one of the most respected American corporations. In 2014, Walgreens and Alliance Boots together announced that we had entered into a strategic transaction to create the first global pharmacy-led health and well-being enterprise. Today, we’re continually focused on finding better ways to run our business, by developing a more efficient pharmacy system and creating a distribution center that enables people with disabilities to work alongside typically-abled individuals. We’re also seeking new ways to expand the suite of health and beauty services offered under the Walgreens brand. Our company is constantly moving forward.